Each of the 36 Celebrate Learning library pockets measures 3.25" x 5.25" and features one of six watercolor designs plus a writing space for unique personalization. 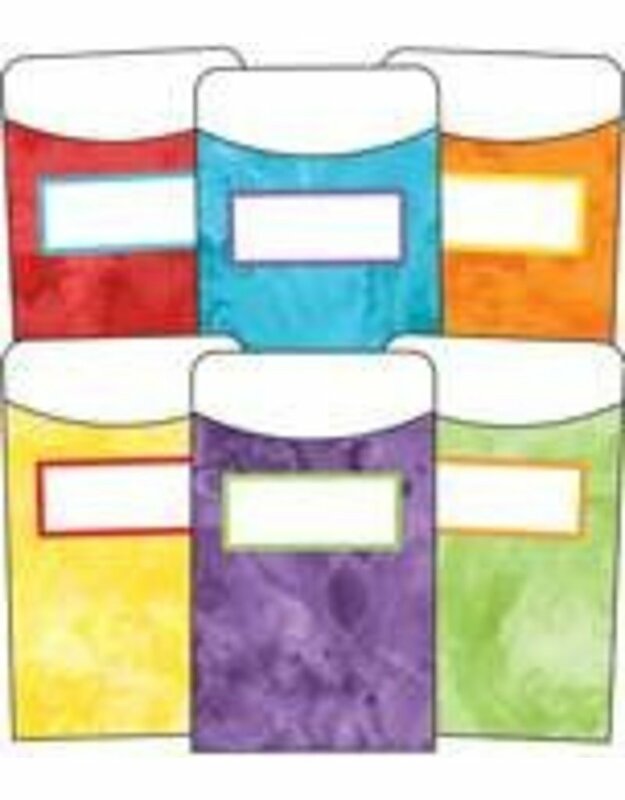 Assorted library pockets offer a fun, stylish solution to classroom organization. Carson-Dellosa’s library pockets are easy to customize, and you can use them for interactive instruction, classroom management displays, and library organization. With a wide variety of colors and designs, you are sure to find a perfect match. Check out coordinating Celebrate Learning products to create an organized classroom theme.